Luxury one-story home nestled within the exclusive seaside Sailhouse Community! Mellow Yellow is a fully furnished and professionally decorated 3 bedroom, 3 bath home that is accessible from Fulton Beach Road or Highway 35. Mellow Yellow has a master bedroom with an en suite that includes a spacious bathroom with granite countertop, tiled shower, and a private water closet. The second bedroom has an en suite walk-in closet and a complete bathroom with a granite countertop and a tub/shower. Both of these bedrooms have a queen sized bed and a 37" flat-screen HDTV. The 3rd bedroom has a queen sized bed and a 32" flat screen HDTV. Additional sleeping is available on the queen size sleeper sofa in the living room. The high ceiling, open floor plan of Mellow Yellow integrates a seamless space for entertaining in the living room, dining room, and kitchen. The living room features a 42" flat screen HDTV and a Blu-Ray player. Stay connected with the Wi-Fi internet service and a land line telephone with local and national calling capabilities. The fully equipped kitchen has stainless steel appliances and granite countertops. As a valued guest at Mellow Yellow and a part of the Sailhouse community, vacationers have access to a swimming pool, a private bay front area, and a 650 foot lighted fishing pier. 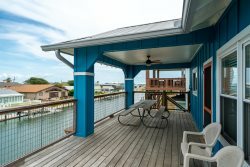 This home is perfect for those who love to fish and relax on the water with beautiful views and refreshing bay breezes. This house is also a short drive away from the Rockport Beach and Little Bay. Little Bay is a fascinating birding spot with many protected areas for spotting. Rockport Beach is a fun and affordable way to spend a day relaxing and swimming. Kids will also have a blast at the beach with the multiple themed playgrounds and swing sets. There are picnic tables and grills that you can set up at for the perfect beach experience. Rockport is home to many historical sights and parks as well, including the Fulton Mansion, Goose Island State Park, and The Texas Maritime Museum. Also Port Aransas is only about a 20 minute drive away! 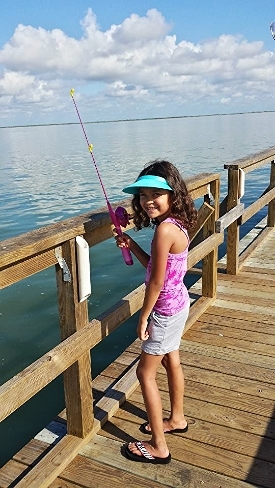 You can enjoy more fishing, more food, and more beach on the island. Never run out of things to do and places to see, plan your dream vacation today! Enjoy your stay at Mellow Yellow and return soon! Please be aware that parking is limited to 1 vehicle for this home and boat trailers can no longer be parked in this neighborhood. Maximum occupancies are strictly enforced. 650 ft. lighted fishing pier* The pier has been rebuilt but as of 4/27/18 the lights have not been installed. Good follow up by office staff to the TV problem. They were great and friendly! This was not our first time we have stayed at a Miss Kitty property and will not be our last. This company is very professional and would recommend them to anyone. Always love Miss Kittys & Sailhouse is just wonderful! Very relaxing & enjoyable! We enjoyed renting through Miss Kitty's and they were very accommodating to our needs of storing our bay boat during our stay. We will definitely be back! Thanks for a great trip and a wonderful place for our whole family to stay. We had a blast! The property was beautiful and your staff was friendly and helpful. I'll be emailing a few details about the stay and done feedback directly to you this week. Miss Kitty's is by far the best rental company in Rockport. They have the best homes and the best bang for your buck. Miss Kittty's properties are the best. Close to all the shopping, fishing and activites Rockport-Fulton area. The Mellow Yellow house was clean upon arrival and it had everything we ever needed for the weekend. Thanks for a wonderful vacation weekend Missy Kitty!